…scroll down to field #85 and in the Title Field, fill in your Manager’s name that you would like to appear in the signature line on your Purchase Orders. If you leave the Title Field blank, SpendMap will print the name of the person who entered/created the PO in SpendMap but if you fill in the Title, that’s what will print instead. You can enter someone’s name, or maybe just “Authorized by”, or something like that. 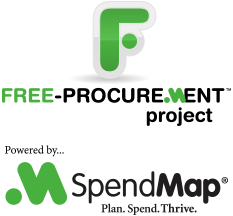 But did you know that SpendMap offers a Requisitions and Approvals Module, that your managers can use to approve/reject orders right in SpendMap, without having to forward a copy of each order manually? You can learn more here.